The big miners were sprung for their Singapore profits sling, and the United States tech giants shown up for their Byzantine tax structures, but there was little time left to spend on other sectors where multinational tax chicanery was rife. When the Senate Inquiry into Corporate Tax Avoidance reconvened to tie up some loose ends last month though, Tax Commissioner Chris Jordan did make fleeting reference to big pharma. On a hunch therefore, we made haste for the latest financial statements of Pfizer Australia Holdings. You won’t unearth these on the Pfizer website. What you will find, though, is Pfizer’s mission statement on integrity: “Our conduct as a company, and as individuals within it, will always reflect the highest standards of integrity. We will demonstrate open, honest and ethical behaviour in all dealings with customers, clients, colleagues, suppliers, partners, the public and governments”. As a member of the “public” then, keen to engage with this “honest” and “open” Pfizer, we sought to discuss the subject of “integrity” in the field of tax. “Thanks Michael and appreciate you contacting Pfizer,” came the written response. Why not? No answer was forthcoming. Shutters down, lights off. What of Pfizer’s high-minded claims of civic duty? To wit: “Pfizer plays an active role in making every country and community in which it operates a better place to live and work, knowing that the ongoing vitality of our host nation and local communities has a direct impact on the long-term health of our business.” Really? What we did discover in the Pfizer accounts, with the forensic counsel of University of NSW academic Jeff Knapp, was a share-capital-stripping scheme designed to denude the Australian taxpayer. It is similar to the magic-pudding ruse deployed by Rupert Murdoch’s News Corp, whose local holding company bought assets from another News entity, created $7 billion in intangibles, inflated share capital by the same amount, soon reversed the intangibles but kept the share capital. It later siphoned $4.5 billion in Australian profits overseas with little tax consequence via “repayments of capital”. News Corp was exposed this week for being the No. 1 tax “risk” in Australia, perched, as it is, at the very zenith of the Australian Tax Office blacklist. This is how Pfizer, the maker of Viagra, pulls it off. On January 3, 2011, Pfizer Australia Holdings acquired the issued capital of AHP Holdings and Pfizer Perth, two minions under the control of Pfizer Inc. This was Pfizer selling to Pfizer. 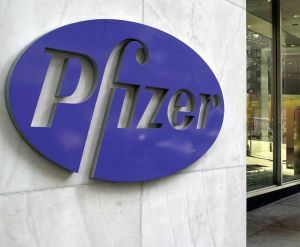 Pfizer Australia Holdings issued 559.7 million new shares at $1.31 a share to a Pfizer Inc affiliate domiciled in the Netherlands to acquire these two new subsidiaries. The purchase price of the two, and the new share capital created, amounted to $733 million. About the time of the deal, there was nothing fancy in the financial statements of AHP or Pfizer Perth, nary a sign of the windfall intangible asset that was about to emerge. The annual financial report of AHP for November 30, 2010, shows no intangible assets and the principal activities of the company are described as “the distribution and sale of pharmaceutical, infant nutritional, consumer and animal health products”. The annual financial report of Pfizer Perth shows a minimal R&D expense and the only intangible asset other than goodwill is a patent for $182,000. 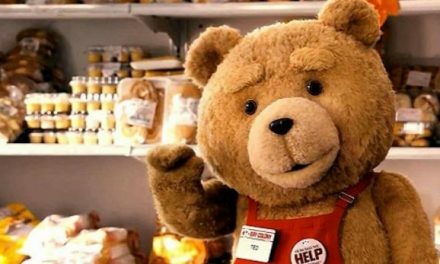 Somehow though, when these two companies were assessed in January 2011 for an exchange value of $733 million (well above book value of $231 million), a new mega-million-dollar intangible asset had emerged: “product development rights of $461 million”. Sphinx-like, Pfizer Australia Holdings has refused to talk about these mysterious rights. As AHP was involved with “animal health products” perhaps it lay on the verge of a scientific breakthrough in the development of dog biscuits for the treatment of pulmonary edema in Saint Bernards. We don’t know. 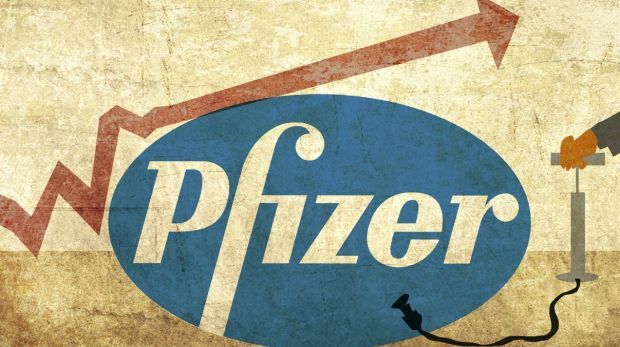 The intangible asset may be nothing more than the right to use the Pfizer name – and therefore luxuriate in the ensuing “integrity” – in the future equivalent of internally generated goodwill. Yet the new share capital of $733 million remains. During the 2014 year, Pfizer Australia’s statement of cashflows for 2014 shows that it returned capital of $408 million to a parent company in the Netherlands. In the same period, those enigmatic “product development rights” were written down by $161 million due to “a decline in the value of these assets arising from recent trading results”. “These rights probably never had any value,” says Knapp.